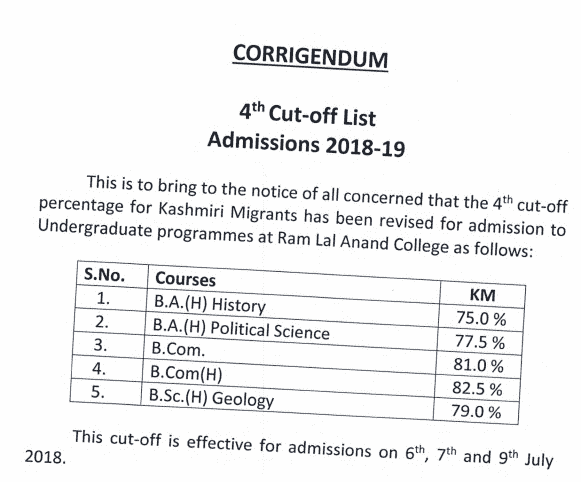 Home > Entranceexam > Ram Lal Anand College Admission And Cut Off 2018 - Fourth Cut Off Released! Ram Lal Anand College is a constituent college of the University of Delhi located in South Delhi, Dhaula Kuan area. 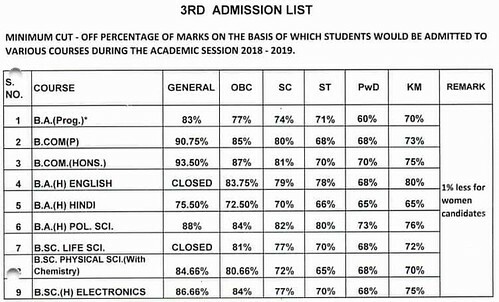 Ram Lal Anand College Admissions in undergraduate courses are based on Class 12 through Delhi University Centralised Admission Process. There is no hostel facility in Ram Lal Anand College. Ram Lal Anand had released the first and second cut off earlier and invited the admission based on that. 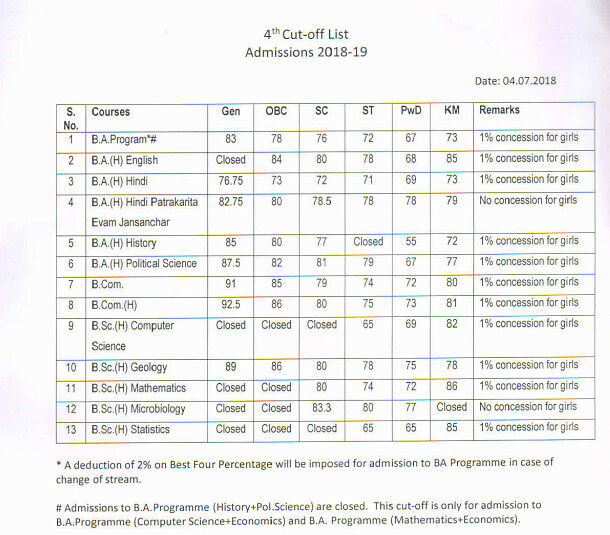 Now the college has released the fourth cut off list on 6 July 2018 considering which the candidates can get the admission to the Ram Lal Anand College. 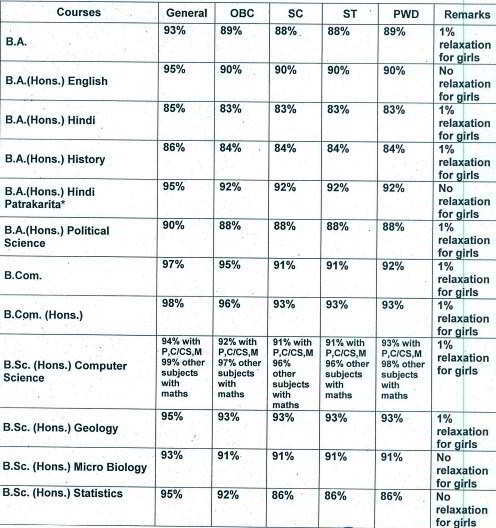 On this page, the details regarding the Ram Lal Anand College Admission and the cut-off marks are given. 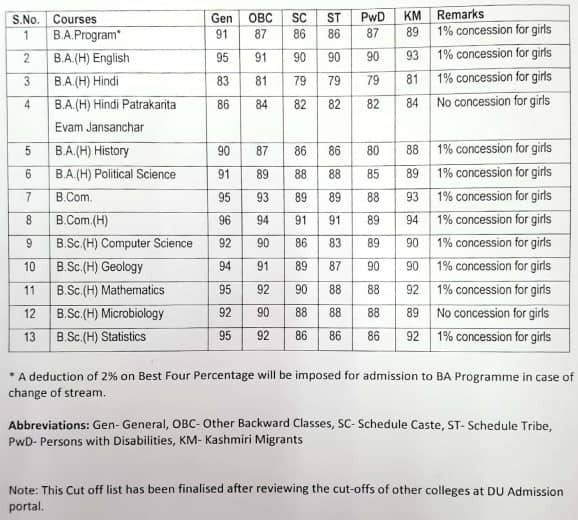 Latest Updates - Ram Lal College has released the fourth cut off on 6 July 2018. The same is available on this page. 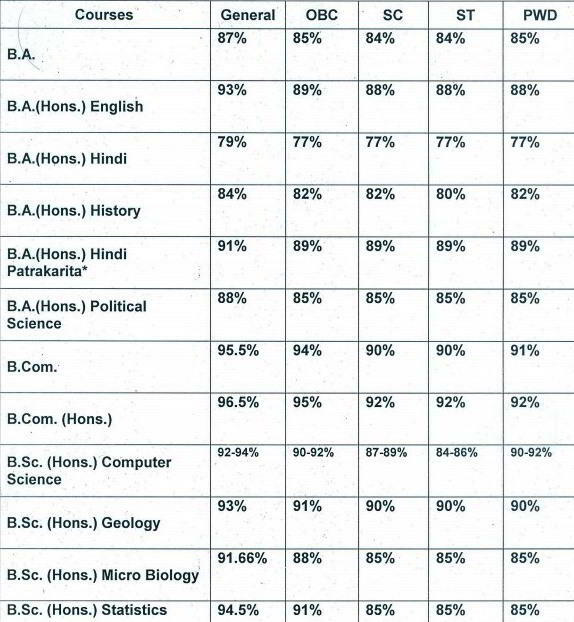 The Delhi University invites the application for the colleges affiliated with the University. 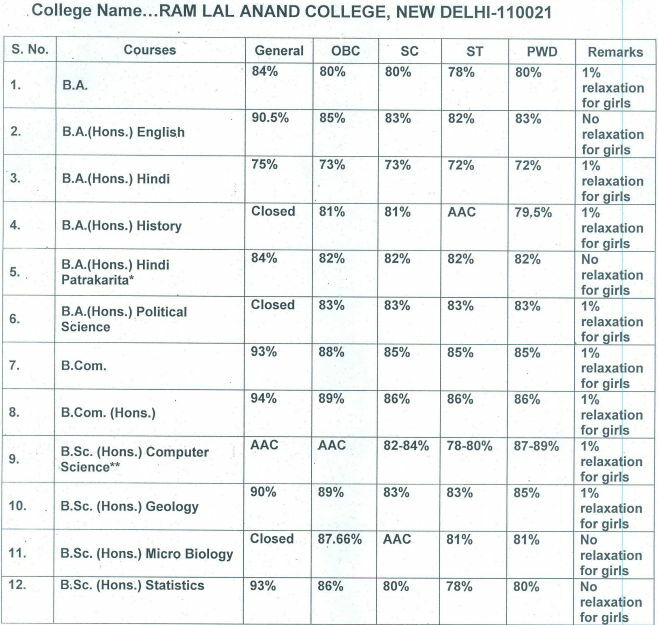 The annual fee for Ram Lal Anand College is now available as per the category of the candidate. 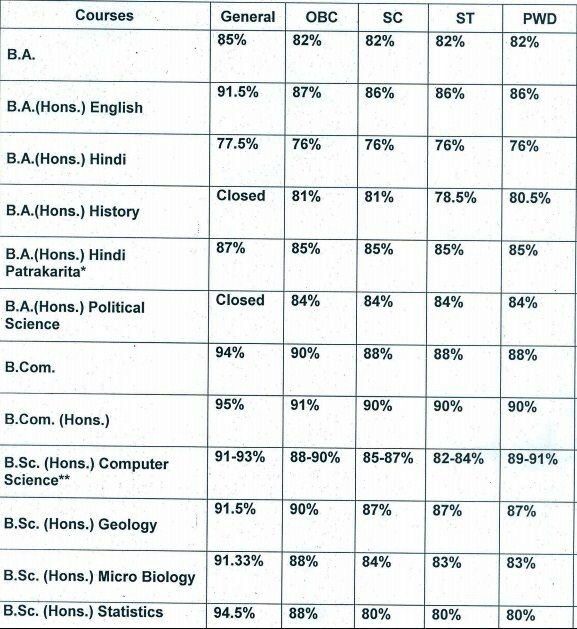 The candidates can get the complete list of annual course fee payable for different programmes. 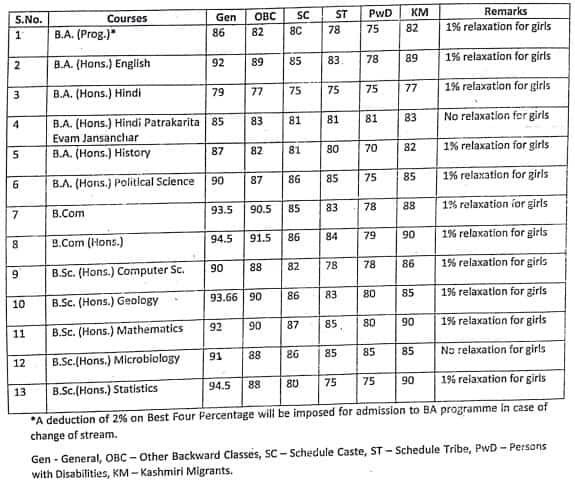 The annual fee for each programme offered in the Ram Lal Anand is given below in INR. 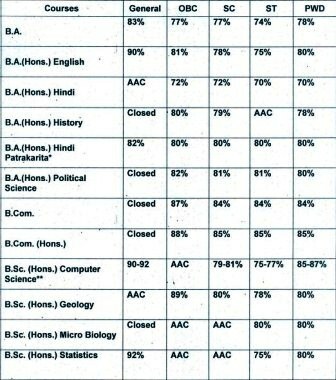 The candidates can go through the table below.